A teacher of Josephus ("Vita," § 2, Bάνος; in ed. Niese, Bάννος). He "lived in the desert, used no other clothing than grew upon trees, had no other food than what grew of its own accord, and bathed himself in cold water frequently, both by night and by day" (ib.) like the Essenes. Josephus stayed with him three years. 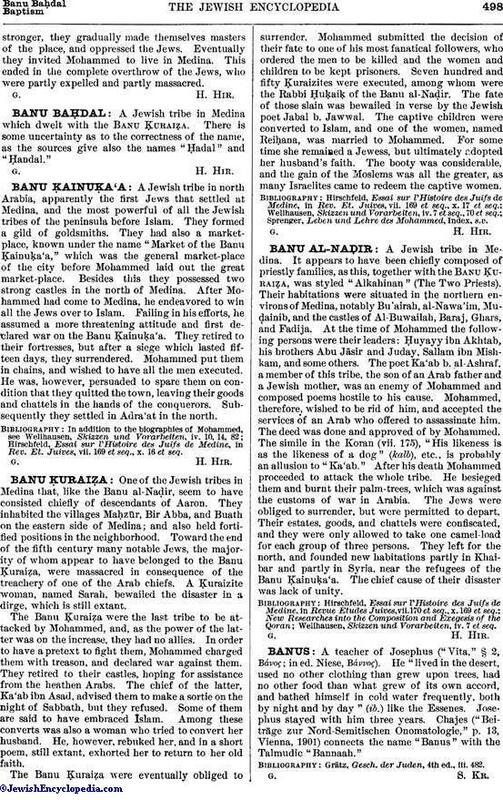 Chajes ("Beiträge zur Nord-Semitischen Onomatologie," p. 13, Vienna, 1901) connects the name "Banus" with the Talmudic "Bannaah." Grätz, Gesch. der Juden, 4th ed., iii. 482.